Help Carrie wrangle the camp kids. 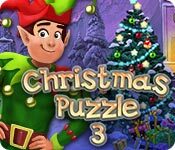 Christmas Puzzle 3 is available for free download. You can play the downloadable version for free for 60 minutes. After that time if you liked the game, you can buy it online. Downloading Christmas Puzzle 3 is 100% safe. The game size is 72 MB.